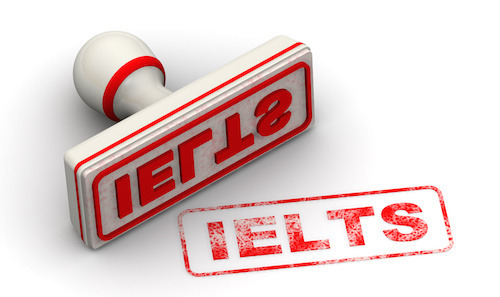 IELTS (which stands for the International English Language Testing System) is the world’s most well known and recognized test for proficiency in English. If you want to study a degree or get a well paid job in an English speaking country, colleges, universities and employers will likely demand this. Familiarize yourself with the type of questions and tasks that you are going to be asked in each part of the IELTS Speaking, Reading, Writing and Listening test. It is important that you know the format of each section of the test. Doing practice tests will help you do this, but there is so much more you can do to improve your chances of getting the score you need. Do plan your revision time and try to understand if there is an area that you should particularly work on. Here are some tips to start you off. Before you take the test, look at the type of graphs and diagrams and typical topics and that come up in the IELTS writing paper. Keep a notebook and record vocabulary and useful phrases related to these areas. Remember to record language patterns or ‘meaningful chunks’ rather than isolated words as it will help you to use the language effectively and relevant for all sections of the exam. During the test, spend time planning your answer and making a note of the type of language that you are going to use. Read the question carefully and make sure that you answer the question and connect your ideas logically. Remember the writing test, particularly part 2, is an opportunity to show off what you know while part 1 requires you to describe what you see in very concise but more simple language. You may read and write short messages via blogs, WeChat or emails on your phone or computer, but to prepare for the IELTS Reading exam you will have to get used to reading much longer length texts on a variety of subjects. You will also have to read quickly! To prepare yourself, start by reading longer articles in your own language about things that interest you. You have to train yourself to enjoy reading again. Then move onto longer articles in English on similar subjects. The more you read, the quicker you will become. Once you have learnt to read longer articles, move onto the IELTS texts and start to time yourself doing the test. To prepare for the test, record yourself reading an article or doing an actual speaking test. Then listen to yourself and notice your pronunciation and intonation. Find a ‘study buddy’ and practise together. It is also a good idea to do this just before you go into the test too so you are already thinking in English. Get used to giving opinions on a range of topics. Watch TV programmes in which people discuss and debate ideas. This is an opportunity to show off how much English grammar and vocabulary you know. You should try and use different tenses in your answers. Also make sure that you give reasons to support what you are saying. You only have one chance to hear each of the four sections of the listening text. To increase your chances of success in this part of the test you should expose yourself to as much spoken English language as you can. Make sure you are familiar with all the English sounds, numbers and letters. Watch TV programs or listen to radio programs on typical subjects covered by IELTS. Listen to TED talks and visit art galleries and museums (either online or face-to-face) as they often have real or virtual tours.